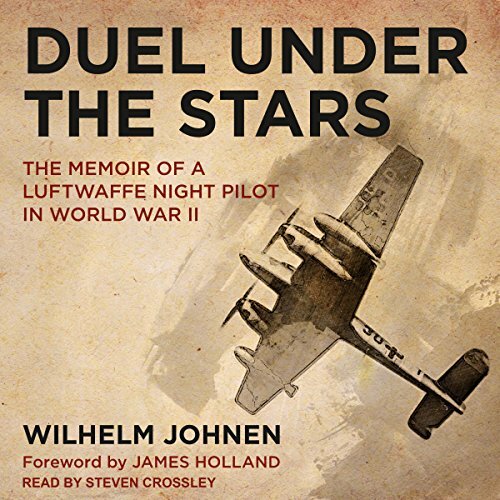 Wilhelm Johnen flew his first operational mission in July 1941, having completed his blind-flying training. In his first couple of years he brought down two enemy planes. The tally went up rapidly once the air war was escalated in spring 1943, when Air Marshal Arthur Harris of the RAF Bomber Command began the campaign dubbed the Battle of the Ruhr. During this phrase of the war Johnen's successes were achieved against a 710-strong force of bombers. Johnen's further successes during Harris's subsequent Berlin offensive led to his promotion as Staffelkapitan (squadron leader) of Nachtjagdgeschwader and a move to Mainz. During a sortie from there, his Bf 110 was hit by return fire and he was forced to land in Switzerland. He and his crew were interned by the authorities. The Germans were deeply worried about leaving a sophisticatedly equipped night fighter and its important air crew in the hands of a foreign government, even if it was a neutral one. After negotiations involving Göring, the prisoners were released. Johnen's unit moved to Hungary and by October 1944, his score was standing at 33 aerial kills. His final one came in March the following year, once Johnen had moved back to Germany.